Larry Tanz is Vice President, Global Television at Netflix, the world’s leading internet entertainment service. Tanz is responsible for acquiring content from independent studios and producers, globally. Recent highlights of his team’s work include shows like El Chapo, Fauda, and Castlevania. 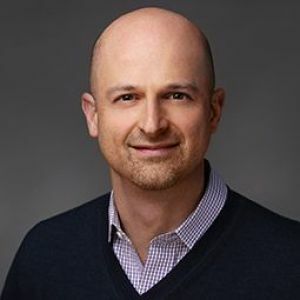 Tanz previously served as Chief Executive Officer of Michael Eisner's digital studio Vuguru (now Tornante Television), which he grew into a major supplier of cross-platform scripted content for Yahoo!, Hulu and AOL, among other international buyers. Prior to Vuguru, Tanz was founder of multi-platform studio Agility Studios, Chief Executive Officer and President of LivePlanet (with founders Ben Affleck and Matt Damon), with additional senior positions at AOL Time Warner and Mercer Management Consulting. He is a founding board member of Water.org and holds an M.B.A. from the Wharton School of the University of Pennsylvania, a master’s degree in Behavioral Psychology from Harvard Graduate School of Arts and Sciences and a Bachelor of Arts from Harvard College.